Santo Pietro : Your Cooking Holiday Italy base during your stay - Home from home ! Santo Pietro is our venue for your Italian cooking holiday. 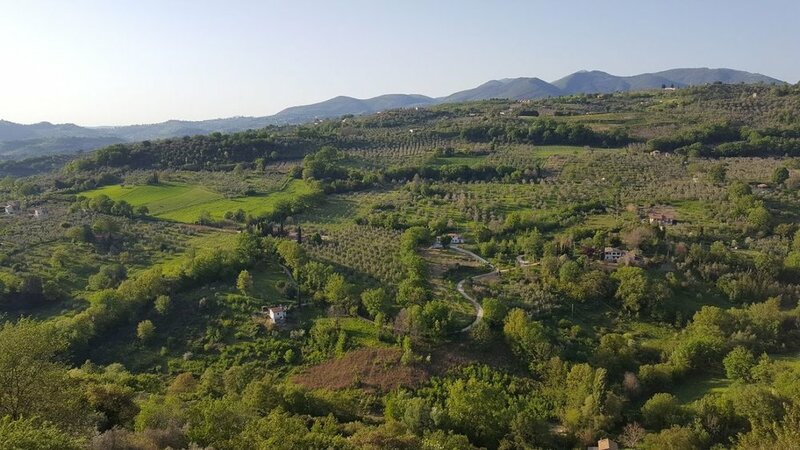 It lies just below the hilltop village of Fara Sabina and is situated in the Olive groves, Vines and Orchards. It was built by the Benedictine Monks from nearby Farfa abbey on top of pre-existing Roman ruins in the early middle ages. The building had served as the first line of defence for one of Europe's most powerful abbeys. It has been transformed into what we see today, a fine restored country house with a lovely restaurant where people travel from miles around to taste its freshly prepared local produce . 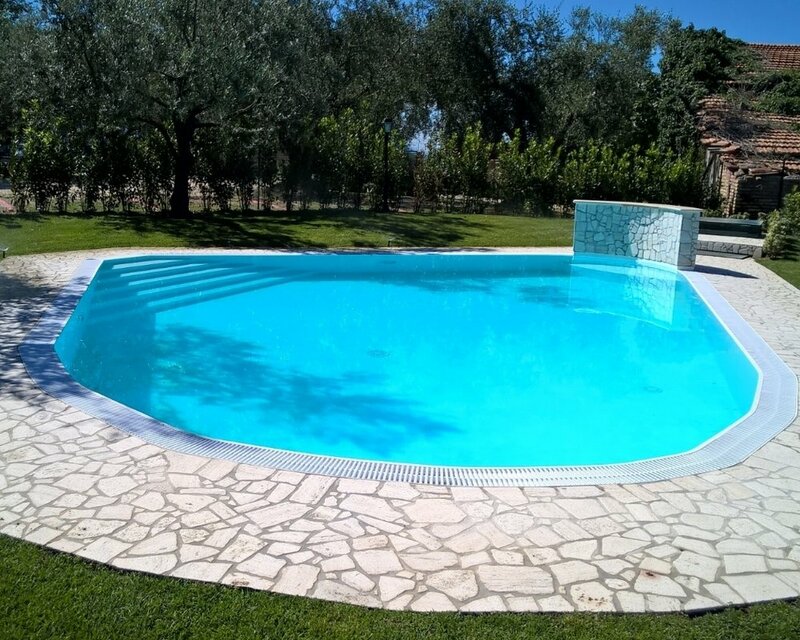 This is the perfect place to relax with en-suite bedrooms, lounging areas, lawned gardens, fine swimming pool complete with sun loungers and gazebo overlooking rolling hills of Olive groves in the Sabina countryside. Santo Pietro has a fine reputation for its restaurant and people travel from miles around come the weekend. Breakfast is taken here each morning as well as the welcome dinner and the lesson with Lina and Angelina where if the weather is wonderful (it usually is ) will be taken outside. Santo Pietro grow themselves the vast majority of their produce as well as producing first class extra virgin olive oil - Sabina DOP. Cooking Holiday Italy's Fine Swimming pool and gardens . www.tastetrailsrome.com - Rome cooking holiday. guest bedroom. Dear Mark , a thousand apologies for the delay in sending this e-mail to you. I just wanted to say how much I enjoyed my Italian cooking holiday week in Sabina. It was a fantastic Italian cooking holiday and provided the perfect mix of cooking classes, eating, wine/olive tasting and culture! I think however it was the personal touch, attention to detail and excellent organisation on your part that really made the holiday special. Sabina is high on my list of places to return to. We 100 % respect your privacy.